DAEJEON, Sept. 21 (Yonhap) -- South Korea's forest service chief said Friday that his agency will examine ways to restore destroyed forests in North Korea by creating small nurseries in heavily ravaged regions. "Forests surrounding populous urban areas were heavily destroyed, but forests in less populated regions were well-preserved," Kim Jae-hyun said in a meeting with reporters at a government complex in Daejeon. "I saw enough hope." He was speaking after accompanying South Korean President Moon Jae-in's visit to North Korea from Tuesday to Thursday. "The North Korean side wants large-scale tree nurseries, but it would be more practical to start with small nurseries in regions suffering from deforestation the most," he said. "I think (the disease and insect control measures) should start immediately to build trust between the two Koreas," he said. 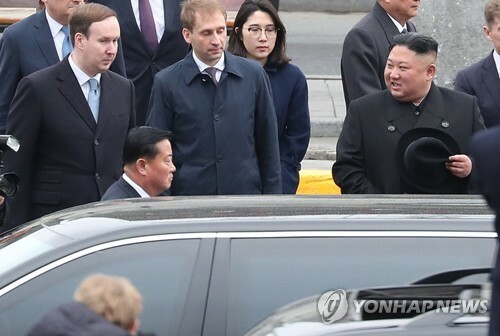 The forest expert said his North Korea visit as part of the official entourage showed Moon's "willingness" to pursue inter-Korean cooperation in the forest sector. "Looking down from an airplane along the western coastline, North Korea's forests were very impressive," Kim said. "There were few trees on hills near Pyongyang, while trees were well-maintained on the way from Sunan Airport to Baekhwawon guesthouse." "Mount Paekdu was well-preserved," Kim said. "As (North Korea) is set to open the mountain to tourists, I think it needs a preservation policy for tourism." 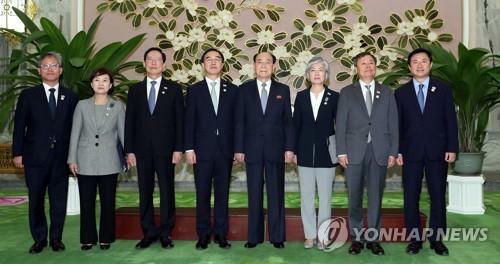 The leaders of the two Koreas climbed the peninsula's highest mountain Thursday, the last day of Moon's three-day trip to the communist state for their third summit.